Widely respected horticulturist and best-selling author Stephen Wescott-Gratton presents a breathtaking look at some of the most fascinating and beautiful fl owers! 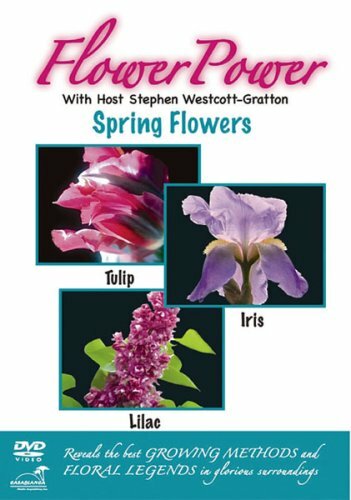 This in-depth look at the history, fascinating stories, folklore, and growing techniques of each fl ower features the Tulip, Iris, and Lilac. Wescott-Gratton is an expert horticulturist, lecturer, and author of Creating a Cottage Garden in North America and The Naturalized Garden. View More In Home & Garden. If you have any questions about this product by Casablanca Media TV, contact us by completing and submitting the form below. If you are looking for a specif part number, please include it with your message. By Do It Yourself, Inc.